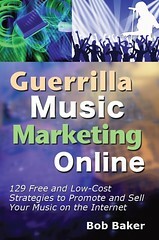 In the spirit of holiday gift giving, I want to give you a brand new, six-page report called "10 Success Strategies for DIY Musicians, Managers, Promoters and More." Use this direct link to the PDF file to open and print it. I encourage you to share this free report with anyone you feel could use it. Blog about it and link to the file, post a tweet or Facebook update about it ... you know, spread it around! That's why I published these 10 DIY music strategies - to inspire and empower music people who really need to GET these principles. The only stipulation for sharing this: Please do not alter the report or charge money for it. 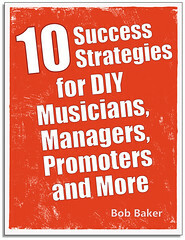 10 Success Strategies for DIY Musicians by Bob Baker is licensed under a Creative Commons Attribution-NonCommercial-NoDerivs 3.0 Unported License. And Wonderful, Happy Holidays to You! Inspiring, informative, and generous - thanks, Bob! Merry Christmas and Happy New Year from Australia! Thanks will share it with my blog readers this week! How to Be a Holiday Hero This Year!